Versatility in all types of cold weather makes The North Face Carto Triclimate® Jacket one of the most functional in the lineup. The dual-layer jacket pairs a waterproof-breathable DryVent™ 2L shell with an insulator jacket with water-resistant synthetic. Pair them up when the weather is cold and wet or wear them separately as needed. The outer jacket shores you up with a removable hood, storm flap, secure-zip hand pockets and a hem cinch. "How long is the XL North Face Carto Triclimate Jacket (Men's) red"
"The North Face Carto Triclimate Jacket in XL measures 32" from the back of the neck to the bottom of the jacket. Hope this information helps!" "Does the Carto have zip pit vents?" "Yes, this jacket has zip pits. We hope this information helps !" "How does just the outer shell of The North Face Carto Triclimate Jacket compare with the North Face Apex Gore Tex Jacket in terms of water resistance and heat retention and any other key features? " 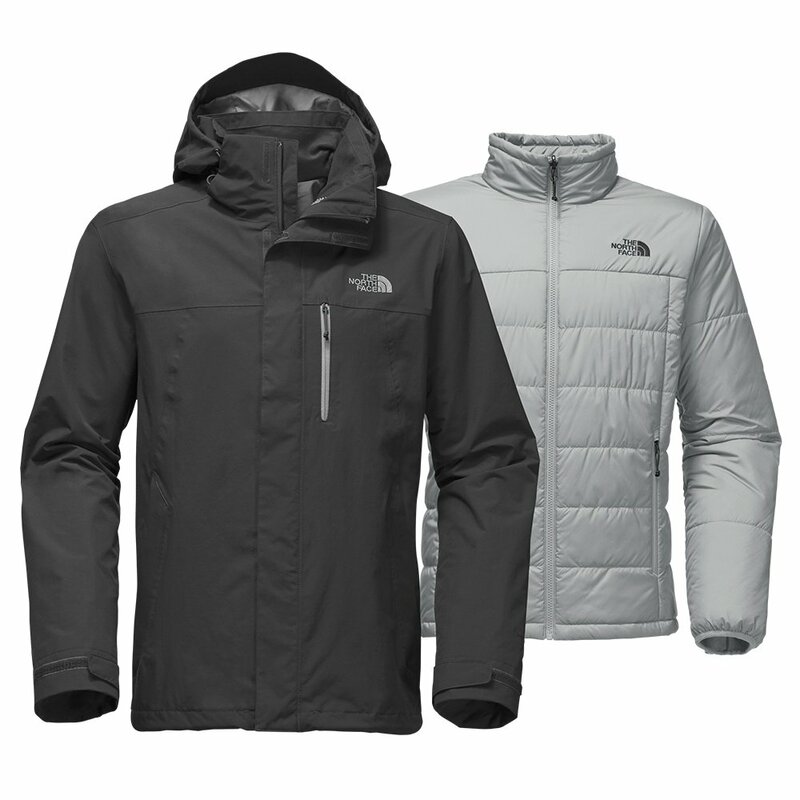 "The North Face Carto Triclimate Jacket has a Waterproof rating of 8/10. The outer shell is made of waterproof-breathable DryVent™. Alone, the shell has a Warmth rating of 2/10. With the combination of the shell and synthetic insulated jacket, it creates 3-in-1 versatility with a Warmth rating of 7/10. The Apex Flex is made with GORE-TEX. It is a high-performance shell (no insulation) with the warmth and softness of a hoodie. It has a Waterproof rating of 10/10 but a low Warmth rating of 2/10. Hope this information helps!" It's a basic winter jacket. It's priced right .no big deal. This is to go out to a movie or bar. It's not a survival jacket or one for long periods of cold but it has its place in a closet. You can go with jeans fine. The good is,meaningless and if was robust it might make tge,jacket more effective.